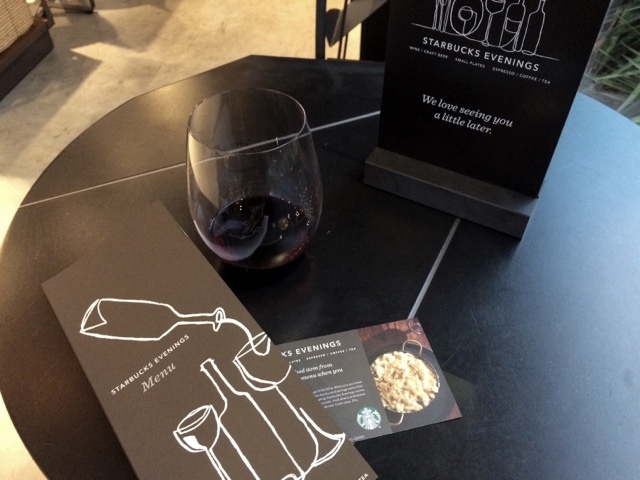 I just happen to be at the Starbucks location off Park Lane, catching up on some studying, when they started a wine tasting. It caught me by surprise at first, but the rumors are true... Starbucks now serves wines, beers, and small plates at this location! I can personally say, this whole alcoholic beverage thing at Starbucks is a great way to take the edge off after a long day of work or even after a long study session! Good idea Starbucks! Right now, they are offering wine tastings from 5-6pm! (And you will also receive a voucher for a free small plate with a purchase of a beverage.) I got to try The Show. It's light with a hint of cherry. I don't claim to be a wine connoisseur, but I thought it was tasty. Now I can't wait to try their small plates!